Показани 46 - 50 от 227 Съвпадащи проекти. 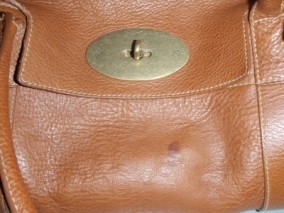 This Mulberry bag had a small ink stain. Our ustomer tried tor remove the ink, but infact caused a darker mark around the outside of the original ink line. 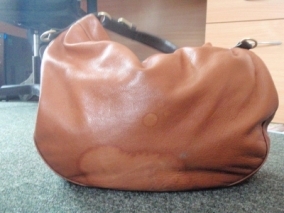 We removed the dark mark and added colour to the bag to help it blend in. 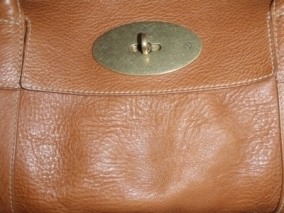 This Mulberry handbag came to us with colour loss due to a spillage in the bag. 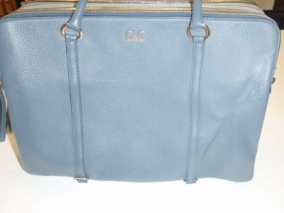 We matched the colour and applied it to the bag sealing it in with a clear lacquer for further added protection. 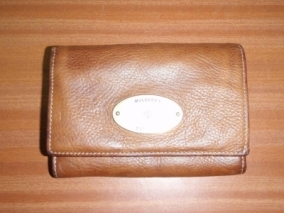 This Mulberry purse came into us wtih water staining in various places. 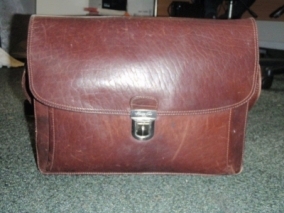 We removed the stains and added colour to the areas where needed. 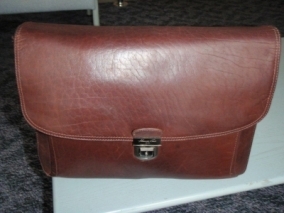 The leather on this bag was badly faded and scratched. 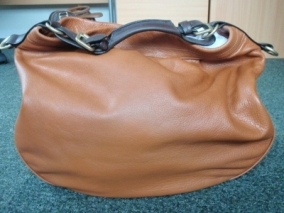 We restored the colour to the whole bag fixing all scuffed and scratched areas. 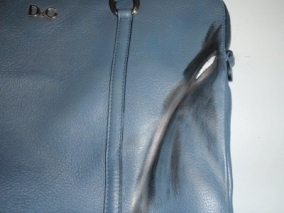 This D&G bag was damaged quite badly causing a large black burn down one side of the bag, which turned into a hole in one area. 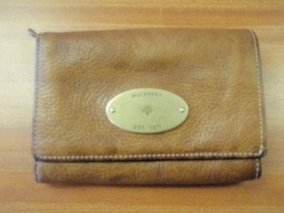 We repaired the damaged area and restored the colour to blend it in with the rest of the leather.